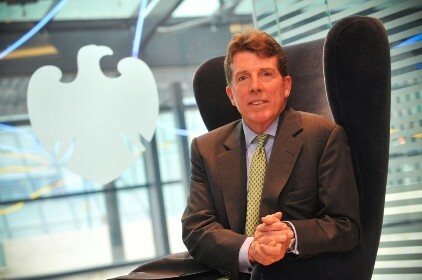 Under-fire former Barclays CEO Bob Diamond has signed up City PR shop Maitland in a bid to salvage his personal reputation. Diamond resigned from the bank last week. He has appeared before a parliamentary select committee and may be called back to answer further questions. Diamond yesterday wrote a letter to Treasury select committee chairman Andrew Tyrie saying he was ‘dismayed’ that MPs accused him of being ‘less than candid’ at his select committee appearance last week. Maitland released Diamond’s letter to the media last night, having been taken on in a personal capacity by the beleaguered banker. Maitland is providing ongoing reputation management advice to Diamond as he comes under increasing fire from the media, politicians and regulators following the Libor rate-fixing scandal. Maitland CEO Neil Bennett is advising Diamond personally. Before Diamond's resignation last week, it is thought he received advice from Barclays’ agencies Brunswick and Portland. Diamond yesterday hit out at the Treasury select committee for, he claimed, unjustly tarnishing his reputation. Diamond said it was totally unfair and unfounded to suggest he had been ‘less than candid’ during his testimony. The nature of Maitland’s involvement is similar to the work the agency did with former JP Morgan Cazenove chairman of equity capital markets Ian Hannam, who quit his post in April to fight FSA charges. Hannam used Maitland to fight his personal corner, with the agency launching a dedicated website www.ianhannam.com to fight his corner. It is not known if the agency is planning a similar site to help articulate Diamond’s case. Maitland is one of the few large City agencies without a major UK high street bank as a retained client, having lost its HSBC account to FTI Consulting (then FD) in late 2009.